Cannex & Fillex Asia Pacific – The World Canmaking Congress, was held in Guangzhou, China in May 2018. It was the biggest ever showcase of canmaking technology in the region and the biggest Cannex to date. With more than 200 exhibiting companies this – the fourth Cannex in China – was 30 percent larger than the previous show in Guangzhou in 2015. 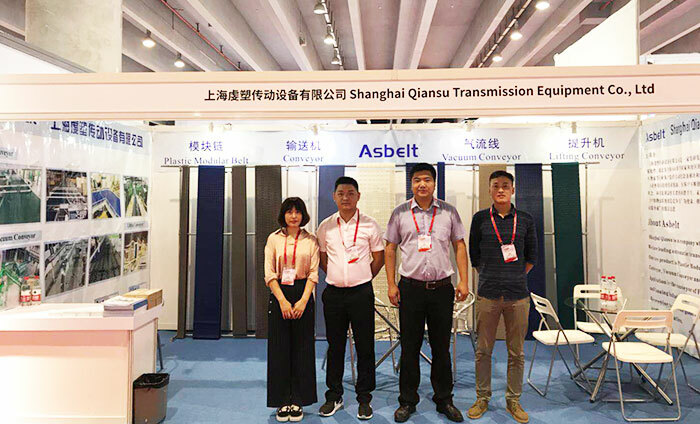 Asbelt (QIANSU) attend the Cannex Fillex Exhibition as exhibitor. We display our Plastic Modular Belt, model: Ast5935 perforated top, Ast1505 flush grid, Ast1505, Ast1100 flush grid, Ast900 active transfer, Ast1000 perforated top, Ast2120, Ast5935, Ast4506, and Vacuum Conveyor, Lifting Conveyor. We meet old friends and new customers during the exhibition and successfully send a sample to our India customer. Next: How Aluminum Cans are made?